Mango: No words can describe the taste, this is how the fountain of youth would taste like sweet sugary nectar heaven. It tastes like mango, smells like mango and even looks like a mango juice! Grape: It is an orgasmic blend of beautiful fresh grapes swirled into a divine array of berries that will melt in your mouth. 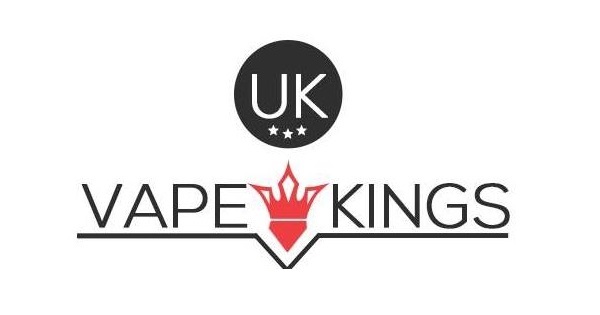 Grape is one of those E Liquids that you will thoroughly enjoy all year round, weather it be with a nice cold beer in the summer, relaxing outside, or sat by the fire with a nice warm drink and a piece of cake in the winter. 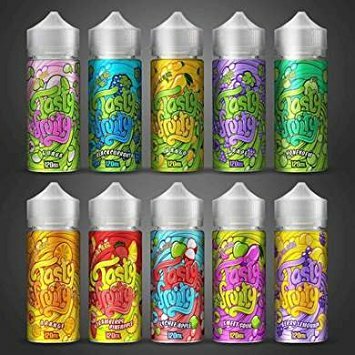 It really is a true all day vape that will bring a warm glow to your being, by creating a synergy of cool rich sensations of shimmering grapes and inviting berries that will make you smile. Blackcurrant: Exploding with a cool, refreshing blackcurrant sparkle that will make you lick your lips with contentment, as you experience a drizzling drench of rich berry sensation leaving you dazzled to a stand still. A sublime perfection of flavour blends that epitomises the quality we expect from any of the Tasty Fruity flavours and this one is no exception. Definitely a summertime favourite for many but can also be enjoyed all year round as a satisfying ,extremely pleasant, all day vape. Honeydew: It is Malaysian made eliquid from the brands fruity series. It combines succulent honeydew melon with a light sprinkling of fresh mint.